1BlueString is not only the first music festival to be held at USD, but it’s also the first one centered around sexual assault awareness. While musicians will be performing, raising awareness for male sexual assault victims will be taking center stage. Bridget Diamond-Welch, assistant professor of political science and criminal justice and director of ICARE said she came across the idea of 1BlueString a couple years ago. In addition to music, there will be several speakers between the sets to address sexual assault and the importance of awareness. President Sheila Gestring will open the festival and the bands and speakers will follow. The Student Counseling Center, Vermillion Police Department, Title IX, and Domestic Violence Services will be giving talks throughout the festival. 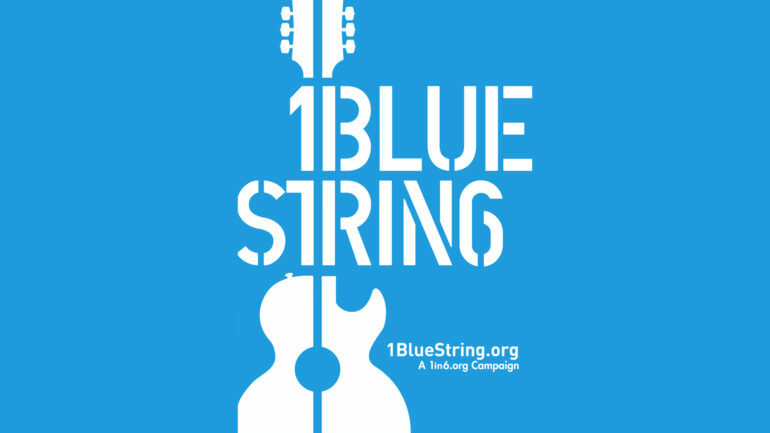 1BlueString is sponsored by USD Housing, Women, Gender and Sexuality Studies, ICARE, and the departments of arts and sciences and political science. The acts that will be featured are Marcus Destin, Her Grace, Bluff Ridge Band, Would You Kindly?, Beard, The High Howlers, Spleen Diva, and Humbletown. Marcus Destin, sophomore communications major will kick off 1BlueString on Friday with his original rap stylings. Four years ago, Destin started writing poetry and decided to experiment with rap. He invested in his own equipment and decided to share his original music with others. As the opener for 1BlueString, Destin said he is excited to set the tone for the entire festival. Grace Claeys is a music teacher from Sioux City who is just beginning her journey as a solo singer. As of last summer, performing alone has been something entirely new for her. Claeys performs covers and some original music, with an indie-pop flair. She plays the piano, guitar, ukulele and the bass. Claeys is preparing to release her first EP this fall and said she has enjoyed discovering her own sound through all the instruments she plays. As a fairly new solo singer, Claeys said she is excited to make her debut at 1BlueString. Bluff Ridge Band is a Vermillion-based band that has been around for about six years. Made up of police officers and professors, Bluff Ridge Band is a four-person band with tastes from American folk music to classic rock. Chad Passick, Vermillion police captain, is the acoustic guitar player of Bluff Ridge Band and said he is looking forward to being a part of 1BlueString. Along with Passick, Kyle Brouwer is the lead guitarist, Tommy Craig plays the drums and Chuck Schwartz plays the bass. They have varied music influences and enjoy blending together anything from outlaw country to Americana. Passick said he and the members of Bluff Ridge Band are eager to get onstage and connect with the audience at 1BlueString. As a student band, Would You Kindly is a little over two years old and a blend of many different styles, ranging from pop-punk to jazz. Would You Kindly is made up of four members, Hunter Milner on vocals, Andy Copple on guitar, Elijah Carrier on bass and keyboard, and Jakob Dirks on the drums. Hunter Milner said he’s known his band members since high school and always enjoys performing with them. The members of Would You Kindly heard about 1BlueString on the USD campus and said they were eager to be a part of it. Bass and keyboard player Elijah Carrier said he is excited to perform at the festival with the other members of Would You Kindly. Four USD professors put down the grade books and pick up their instruments to form Beard, formerly known as The Beards. Beard is an alternative-rock band made up of lead guitarist Jacob Kerby, Jeff Wesner on the drums, Joe Raiche on vocals, and bass player Amy Askew. Dr. Jacob Kerby, biology professor and guitarist for Beard, said music is an expression of creativity. Beard has been playing together for three years and just put out their first original album last year. They also were one of 160 bands selected to perform on the Whitewall Sessions on CBS. Kerby said he loves the cause for 1BlueString and the opportunity to perform. Spleen Diva is a one-person operation ran by Brendan Gayken from Sioux Falls, SD. Gayken has written his own songs since he was younger and his main instrument is the guitar. Spleen Diva’s genre falls around the neofolk with influences of other artists. Gayken said when he’s writing music, he’s mostly focused on writing what sounds the most compelling. When Gayken found out about 1BlueString, he said he knew he wanted to support the cause in any way he could. Humbletown and USD’s High Howlers will also be making their debut at the festival. 1BlueString will kick off Friday, Sept. 21 at 3 p.m. on the grass space east of Patterson Hall. Video by William Summers courtesy of Coyote News.